Our Seek Adventure essentials set contains everything you need to live the frizz-free life while on the go. 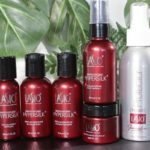 From the Hypersilk Travel Kit to the Lasio Innovative Luxury Keratin Protector, this set is all about protection and style. 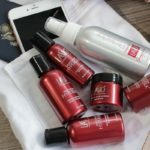 The Hypersilk Travel Kit contains a 2oz Replenishing Shampoo and Conditioner for cleansing and nourishing your hair while on the go because hotel shampoo is just simply a no-no. You want something to replenish your hair, especially while on vacation and after a sweaty workout at the gym. The Hypersilk Travel Kit also contains an Advanced Serum to add shine to your style and Hypersilk Volumizing Hair Spray for a soft flexible hold with zero flaking. 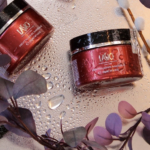 Lastly, your kit comes complete with a Revitalizing Hair Masque for a powerful dose of keratin and nutrients for softness, frizz control, and natural shine. The Seek Adventure essentials set also comes with our most popular seller, the Keratin Protector. It’s an amazing multi-use product that not only protects any keratin treated hair but protects your hair in general. Use it before going into the pool or salt water to protect your hair or keratin treatment. Wash and style after. You can also use it as a lightweight blowout aid. It helps restore and achieve magnificent shine and softness. Also, enhancing the performance of any keratin treatment by 40%! Click here to enjoy savings on the Seek Adventure set! Check out this post workout look using the Seek Adventure essentials set.